2018 Winners - TheMHS Learning Network Inc.
All category winners were presented with their awards at TheMHS Conference in Adelaide on Wednesday 29 August. 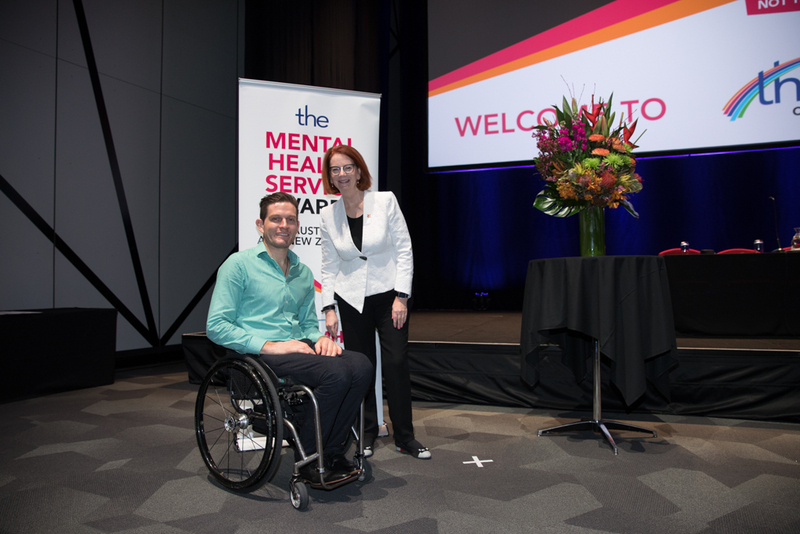 Warwick is an exceptional and visionary leader, manager and driver of change. He has a career-long commitment to a high standard of research, evaluation and quality assurance. 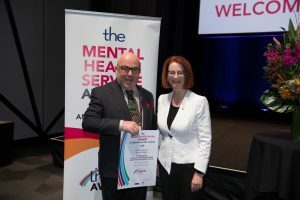 For over 30 years, he has championed system reform at a local, state and national level, through developing high quality innovative and accessible mental health services. 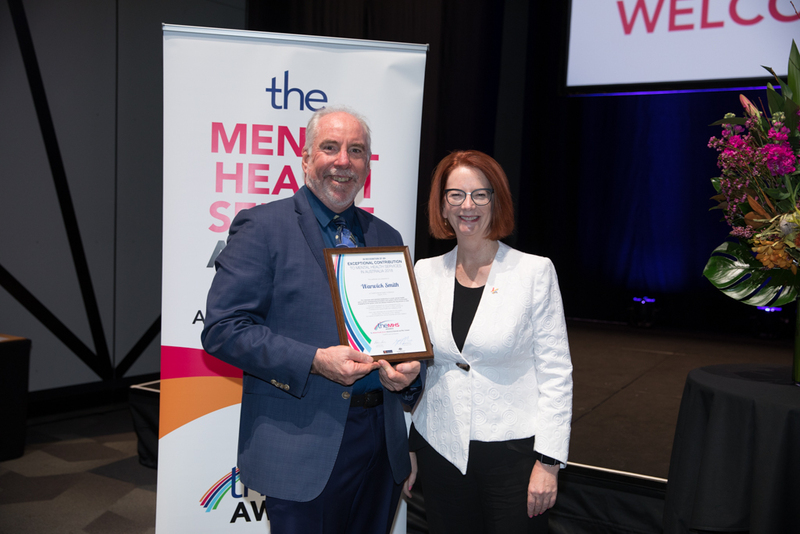 He has led intensive growth in the Peel and Rockingham-Kwinana Mental Health Service and Youth Mental Health, characterised by genuine collaboration with consumers, carers and community-managed organisations in the development and delivery of services. This has resulted in continuity of care along the service continuum and improved service access for vulnerable patient groups. His strategic approach to cross-sector capacity building has resulted in well-integrated mental health services with strong partnerships and formalised care coordination to address the social determinants of mental health and the physical health needs of people with mental health problems. This award represents an acknowledgement of an exceptional contribution, the results of which will flow on to enhance the mental health and wellbeing of all. Each year individuals are nominated for this award by their peers. The winner is then selected by a panel of experts from across Australia. Arthur trained as a psychiatric nurse in the mid-1980s when mental health care was institutionally based. He held a vision that people with mental illness could live meaningful and contributing lives in the community. He has pursued this vision throughout his career, leading attitudinal change in a sector sluggish to adapt. He has championed the capacity of the NGO sector to provide psychosocial and recovery focused mental health support that is complementary to clinical services. His commitment to quality service provision, evidence-based approaches, outcomes measurement, and sharing within the sector has convinced consumers, families, governments, funders, and mental health providers that psychosocial and recovery focused supports can have a valuable impact on improving people’s lives, and can change community attitudes about mental illness. 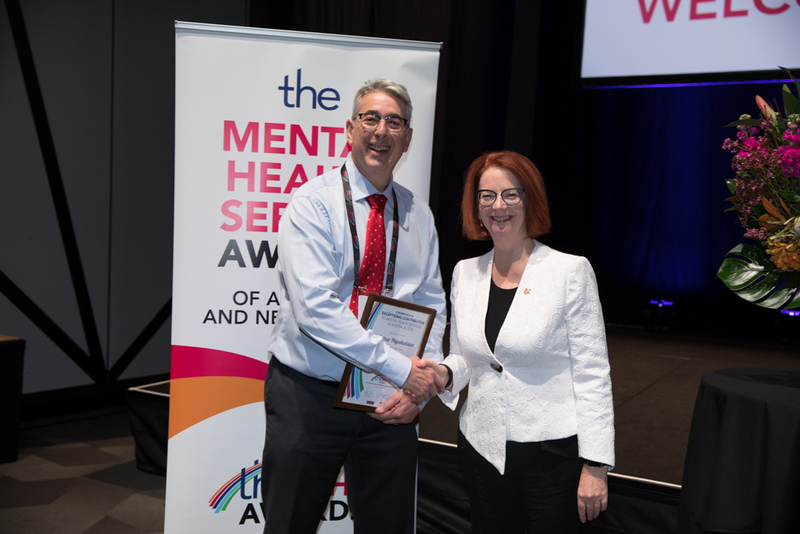 His commitment to the sector and 26 years of leadership at Neami have enabled him to deliver on his vision; full citizenship for all with mental illness. Keri Opai joined Te Pou in 2014 and has worked tirelessly to bring about change in Māori language used in the mental health, addiction and disability sectors. He created Te Reo Hāpai, new Māori language glossary to support the sector. He did this in collaboration and consultation with a wide range of stakeholders, constructing new words and phrases where there were none and modernising language where possible. His acceptance of other’s areas of expertise such as tāngata whai ora (service users) and clinicians has been combined with humility and knowledge imparted freely. The language in Te Reo Hāpai will be used for decades to come. Family members and those directly impacted by the change in language that Keri has driven, have thanked him, sometimes in tears. This paradigm shift in describing terms from a Māori worldview in positive and enabling ways is truly a language of enrichment. Keri is committed to the preservation of Te Reo Māori, particularly his unique Taranaki dialect, and Māoritanga in general. His personal philosophy “Kāore he mutunga o tēnei mea, te ako” – There is no such thing as an end to learning, sums up his life’s work. He believes relationships are fundamental to this end and has had the privilege of maintaining great relationships with many people. Keri is a licenced Māori interpreter, has a Certificate in Adult and Tertiary Teaching and a Master of Mātauranga Māori. His current role provides access to national organisations where he is working to make a significant contribution in the mental health, addiction and disability sectors to improve life for Māori in Aotearoa New Zealand. 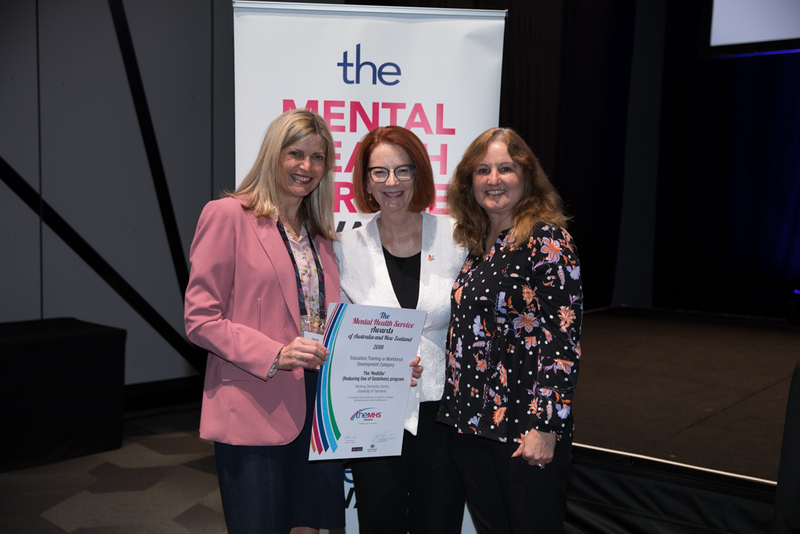 Professor Boydell has dedicated her career to exploring, in a participatory manner, the lived experience of individuals experiencing mental health issues. Her research focuses on understanding access to care for youth experiencing first episode psychosis, new technologies in youth mental health, and knowledge translation. Current projects include body mapping the link between mental and physical health in early psychosis, exploring experiences of anxiety in adolescents using arts-based methods, using photovoice to explore experiences of women stigmatised by mental illness, disability or refugee status. Methodologically, her research focuses on advancing qualitative arts-based health research. She explores the use of art as a knowledge translation strategy – in creating and disseminating of research – documentary film, dance, digital storytelling, found poetry, installation art and body mapping. She published over 150 journal articles, book chapters and a recent book on Qualitative Inquiry in Early Psychosis. 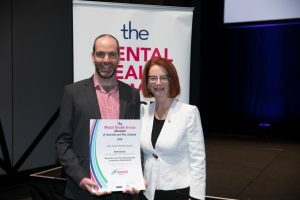 Black Dog Institute is internationally recognised as a pioneer in the identification, prevention and treatment of mental illness and the promotion of wellbeing. We aim to improve the lives of people affected by mental illness though the rapid translation of high quality research into improved clinical treatments, better access to mental health services and delivery of long-term public health solutions. 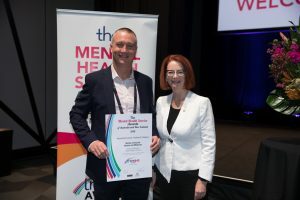 We also place emphasis on teaching people to recognise the symptoms of poor mental health in themselves and others, as well as providing evidence-based education and training to health professionals. Black Dog Institute works directly in all parts of the community as well as guiding the development of new and improved policy. 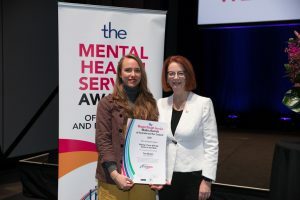 We place focus on those with specific mental health needs, including young people, Indigenous communities, men, and high-risk workforces our primary areas of mental health research and treatment include: depression, bipolar disorder, post-traumatic stress disorder (PTSD), anxiety, workplace mental health, adolescents and young people, suicide prevention, e-mental health, and positive psychology and wellbeing. Parents play a critical role in supporting the mental health and wellbeing of their children, yet parents of adolescent children do not always have access to a wide range of supports for a range of reasons. ReachOut Parents is an online prevention and early intervention service, providing information, peer-support and 1:1 coaching to parents of young people aged 12-18 years. The program is evidence-based and has been co-designed with parents and young people, to ensure that parents are equipped with practical tools and resources to better support their child within their family environment. The program was launched in 2016 and to date has been accessed by approximately 348,000 users. ReachOut is Australia’s leading online mental health organisation for young people and their parents. Our practical support, tools and tips help young people get through anything from everyday issues to tough times – and the information we offer parents makes it easier for them to help their teenagers, too. Our mission is to deliver innovative e-mental health services that enable young people to take control of their mental health and wellbeing. – ReachOut.com was the world’s first online youth mental health service (switched on in 1998). – ReachOut.com and ReachOut Parents are accessed by over 125,000 Australians each month. That’s more than 1.52 million people each year. – Everything we do is youth-driven and evidence-based. ReachOut.com and ReachOut Parents are available 24/7, from anywhere with an internet connection. Nursing & Midwifery Health Program Victoria (NMHPV) is a support service available to every nurse, midwife and student of nursing and midwifery, totalling over 100,000, across Victoria. In addition, all Victorian stakeholders including but not limited to employers, educators, industrial organisations, colleagues and families can engage the service for information, guidance and support where they have concerns for a nurse or midwife. NMHPV receives $627,000 p.a. 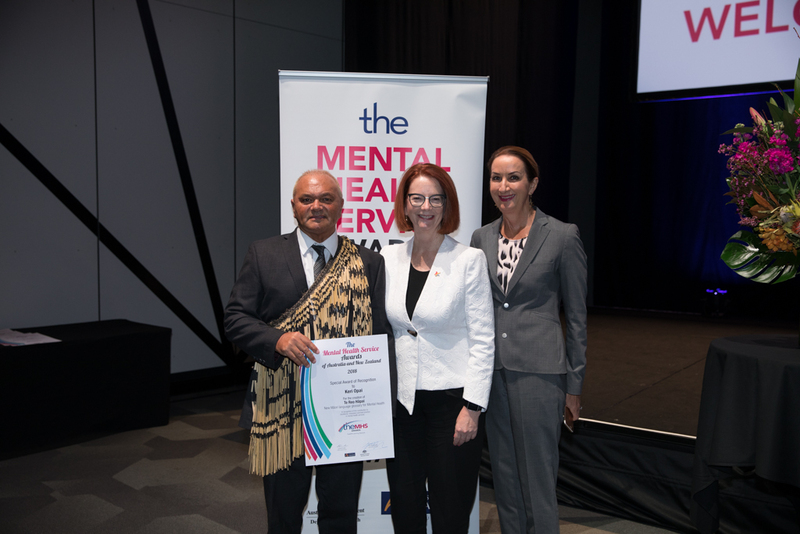 from the Victorian State Government to deliver the service and generates additional funds through donations. These funds support employment of 4.4 EFT staff to; facilitate approximately 250 individual episodes of care p.a. ; respond to several hundred enquiries for information, guidance and support; facilitate education forums to a variety of industry stakeholders across Victoria; participate in industry conferences and events; convene the biennial Nursing & Midwifery Wellness Conference. These functions combine to support individuals in need and promote positive health and wellness information. Nursing & Midwifery Health Program Victoria (NMHPV) is an independent charity where experienced nursing clinicians provide free and confidential support to fellow nurses, midwives and students of nursing and midwifery throughout Victoria experiencing sensitive health concerns related to their mental health or substance use concerns. 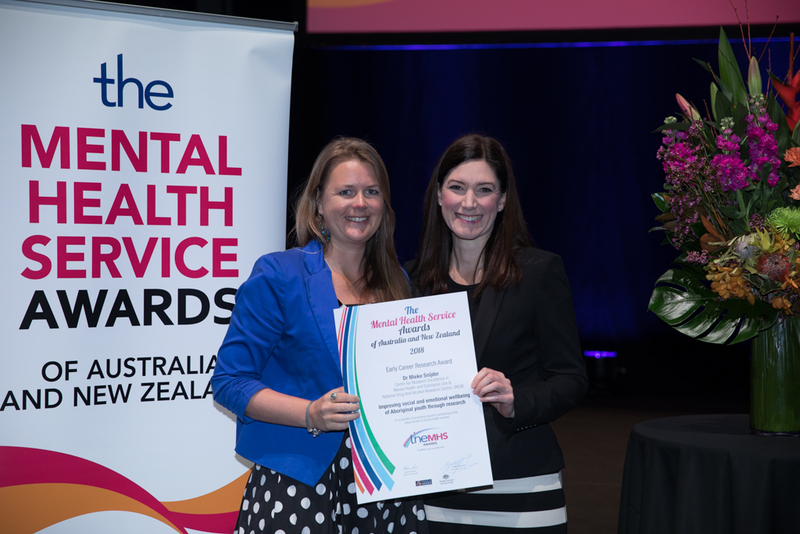 Clinicians take a sensitive approach to engaging participants in assessment and delivering tailored individual counselling support, case management assistance, peer group support and external referrals for those requiring discrete, specialist assistance for their health concerns. It is a voluntary program delivered with compassion which assists participants to remain in the workforce or return from periods of absence. It supports the participant to identify and achieve their goals for improved health, whilst considering their professional and personal demands. NMHPV views early intervention as the preferred way of tackling health challenges and welcomes employer and HR approaches where their nurses and midwives are experiencing these health concerns. WALSH Trust has provided community-based, led and responsive mental health and well-being services since 1988. In 2015, WALSH Trust established a sub-acute, maternal respite service, complemented by mobile, home-based / community support. WALSH Trust’s maternal mental health respite services are community based, and provide support and assistance for mothers and their babies. The concept behind the service approach is simple – keeping mum and baby together in a safe, home-like, nurturing and supportive environment. The service offers short term (typically less than 5 days) support, for up to 6 mums and their babies. The respite service is staffed 24/7; community support is provided usually during day time hours. Day activities are also offered – led by mums. WALSH Trust is a charitable trust that has provided mental health support service in Auckland since 1988. In 2018, WALSH Trust is contracted by statutory health authorities (District Health Boards), the Ministry of Health and Ministry of Social Development and Accident Compensation Corporation to offer a range of mental health and well-being services. Total annual revenue is $6.5 million; at any one time WALSH Trust supports around 600 people every day. In 2015 WALSH Trust was contracted to establish and deliver maternal respite and mobile, community-based support services to new mothers and their babies. The respite component comprises 6 beds (set in typical suburban street). In addition we are contracted to provide 2,985 non-clinical mobile support hours, and 746 clinical mobile support hours per annum. To date the service has assisted 265 mothers with their babies. The total annual budget is $887,167. WALSH Trust employs a total of 9 FTEs. Activities carried out by the Recovery Alliance have varied over time to reflect the interests and skill sets of participants. This is what makes our group so special- ARAFMI supports us to take initiative and to be both flexible and responsive. Examples of key activities include the development of awareness raising workshops, education and training programs, facilitation of forums and committees as well as the development and distribution of educational material (all guided by our lived experienced voice). Since its inception, the Recovery Alliance has interacted with more than 250 individuals, workers and organisations. People with a lived experience of mental illness • Mental health carers • Young mental health carers • Grandparents who are caring for their grandchildren on a long term basis. Services provided include: • Counselling • Advocacy • Referral • Education and Training • Support Groups • Respite Accommodation • Social and Recreation Program • Lived experience consultation group. Mental health conditions are extremely common in Residential Aged Care Homes. Recent data indicates that half of residents experience depression and sleep disturbance, and a third have anxiety. Residents also express changed behaviours of dementia. Psychotropic medications are mostly prescribed as first-line treatment to manage these symptoms. Residents remain on psychotropic medications for extended durations and experience adverse effects at high rates. Non-drug therapies are offered infrequently. The ‘Reducing Use of Sedatives’ (RedUSe) project, funded by the Australian Government from 2013-2016, was conducted in 150 homes across Australia. Over 6-months, ‘RedUSe’ raised awareness of each home’s psychotropic usage, educated RACF nurses and carers, GPs and pharmacists about the modest benefits psychotropics offer, alongside substantial risks; provided a structured interdisciplinary review process and promoted non-drug management. RedUSe resulted in a 21% and 11% decrease in benzodiazepine and antipsychotic prevalence, respectively, with over 40% of residents experiencing a reduction in psychotropic use. The University of Tasmania’s College of Health and Medicine is recognised for its health education and transformative health research. Our researchers are committed to transforming the health of the community. One of the key research themes is ‘Healthcare and Support Services’ which draws together expertise from multiple disciplines in the design, delivery and evaluation of health care services. Areas of focus include mental health and the education of health practitioners.The RedUSe (Reducing Use of Sedatives) project was a Government funded initiative which aimed to promote appropriate management of common mental health symptoms in residential aged care via a multi-strategic, interprofessional educational approach. RedUSe was delivered to 150 RACFs in 6 states and the A.C.T. from 2014 to 2016. 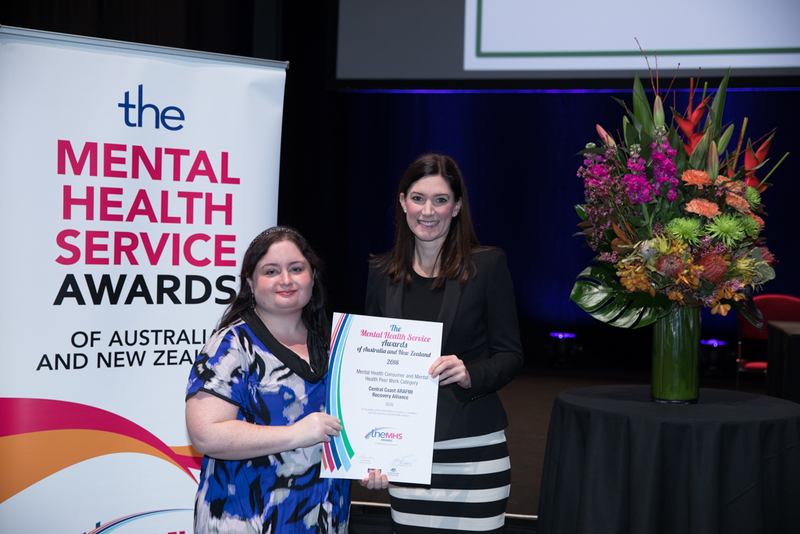 Training on appropriate management of old age mental health conditions provided to the aged care sector was substantial, with approximately 3000 RACF nurses and carers, GP’s and pharmacists attending educational sessions. Policy requires consumer involvement at all stages of service planning, implementation, delivery, and evaluation. The extent to which this occurs, however, varies widely. Barriers to meaningful involvement of consumers include stigma, tokenism, hierarchical power imbalances, and paternalism. The first focus of my research examines challenging these barriers, so consumers’ experiential expertise can be meaningfully valued by health services. The second focus of my research examines how non-consumers can better support and advocate for greater consumer leadership. My work demonstrates excellence in output and impact relative to opportunity, as well as in how my work walks the walk of consumer leadership. My research is conducted collaboratively with or led by consumer academics – including current research students – in Australia and beyond. Taken together, my work develops an evidence base calling for better consumer leadership in mental health services and organisations, representing an important step towards less tokenistic consumer involvement. SYNERGY Nursing and Midwifery Research Centre at the University of Canberra brings together expertise from a wide range of health disciplines – including consumer research. 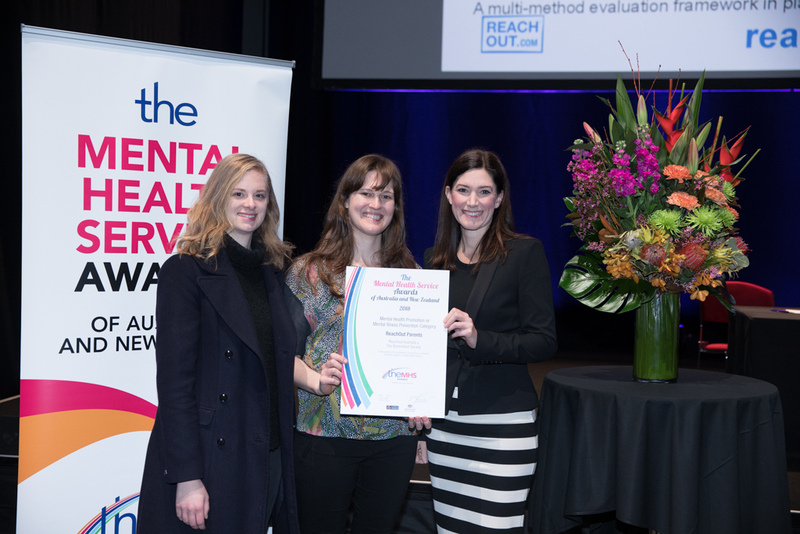 The university’s research in this field was rated as above world standard in the most recent Excellence in Research for Australia (ERA) evaluation. The centre has been pivotal in bringing consumer research and consumer teaching to the university, and has extensive collaborative networks with consumer organisations both in the local Canberra area, and internationally. 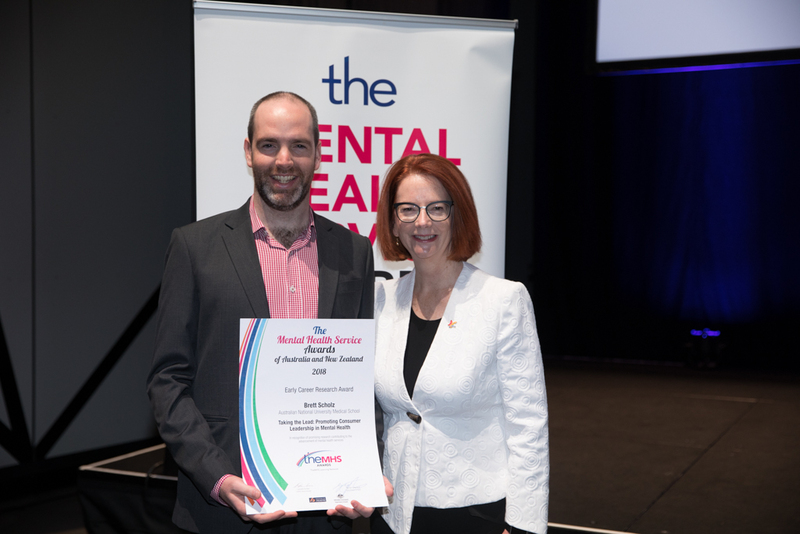 The strengths of SYNERGY recently contributed to NHMRC funding success, representing one of the first major nationally-funded projects in which mental health consumers have been valued as an integral part of the research team. Mieke Snijder PhD completed her doctorate in 2017 at the University of New South Wales, Sydney, her research focusing on drug and alcohol prevention in Aboriginal communities. 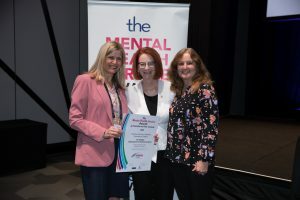 Funded in 2012 by the Australian National Health and Medical Research Council, the Centre of Research Excellence (CRE) in Mental Health and Substance Use aims to build much needed research capacity in this area. This CRE represents a world first, bringing together the largest concentration of nationally and internationally recognised comorbidity researchers. Specifically, the CRE brings together leading research academics from four Australian universities (University of New South Wales; University of Newcastle; University of Sydney; and Macquarie University) and three international universities (University of Birmingham, UK; Northwestern University Medical School, USA; and the Medical University of South Carolina, USA). The Centre has three research streams focusing on the prevention, treatment, and epidemiology, of comorbid mental health and substance use disorders. Across these stream, the staff members are working on 60 research projects. Tess McClure is an award-winning journalist and editor from Aotearoa New Zealand. Currently working with international media outlet VICE, she has also worked for RNZ and Fairfax. Today’s woman is sold on the idea you can have it all. But this has transformed into an expectation; you must do it all. These unhealthy expectations driving an anxiety epidemic are explored in the series ‘In My Mind’ from Attitude Pictures. Via raw and honest interviews with New Zealand and Australian women of all ages, alongside expert opinion, this four-part series delves into stress, anxiety and mental health. Directed by four Kiwi female directors, each episode focuses on a different catalyst including social media addiction, the challenges of motherhood, body image and burnout as well as techniques to live in these increasingly challenging times. We nominate 2 videos in the series for our submission – In My Mind: Body and In My Mind: Burnout. Attitude Pictures Ltd produces the Attitude programme, a documentary series dedicated to presenting powerful stories about the lives of people who live with disability. We tell human stories that showcase their spirit and determination. The people and lives we show have everyday real challenges and journeys, and we aim to challenge the viewer’s perception of what it is like to live with a disability. Our style is intimate and empathetic, educating audiences about the lives of people with different abilities. The ‘Let’s Talk: Rural Mental Health’ podcast series first aired on ABC state-wide drive and iTunes on 5th October 2017. It was developed by the Rural Adversity Mental Health Program (RAMHP) and produced by the reputable radio presenter Kia Handley, covering issues that impact on the mental health and wellbeing of people in rural and regional Australia. In this series, Kia talks with people with a lived experience of mental health problems, about their stories of hope and recovery, as well as people working in frontline organisations, and peak bodies about what is being done at an organisational level about these issues. The purpose of the project was to create podcasts, which were in an accessible format, authentic, resonated with our rural audience, and effectively communicated our mental health messages. We hope the podcasts inspire and encourage people to have conversations about mental health with colleagues, friends and family. Victoria Smyth: Project Manager. Victoria’s background is Social Enterprise, focusing on Mental Health projects since 2011. 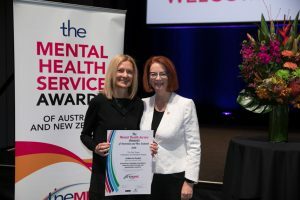 In 2013, she moved to Australia from Ireland, delivering projects for National Mental Health Commission, NSW Mental Health Commission, and now leading communications projects at CRRMH, Orange NSW. Kia Handley: Producer. Kia Handley is a radio producer and presenter, currently producer on NSW state-wide Drive. Kia studied Journalism/International Studies at University of Canberra, and has produced Local Radio across NSW and the ACT before moving to ABC in Orange, then on to Newcastle. Jocie Johnston: Communications Coordinator. For the past three years, Jocie has worked at the Centre for Rural and Remote Mental Health as a communications practitioner. 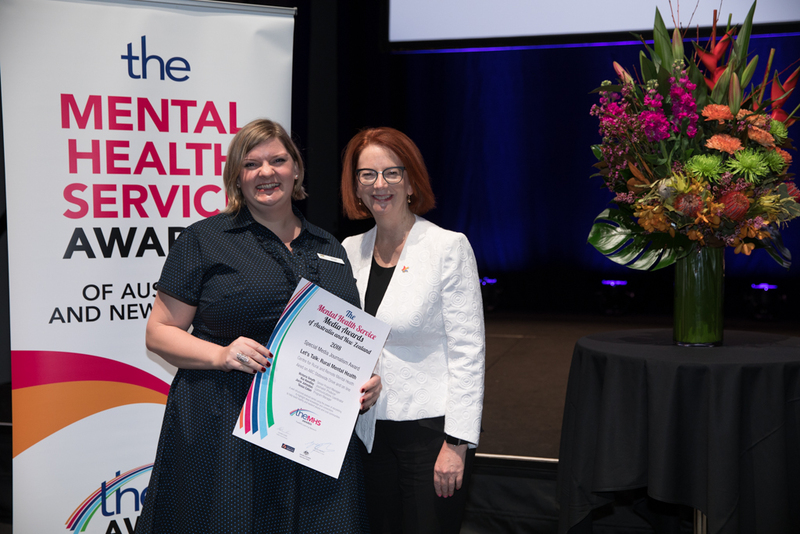 She enjoys working with a passionate team committed to improving the mental health and wellbeing of rural and remote communities. Prior to this role, Jocie worked in various communications’ roles across both the not-for-profit and corporate sectors.